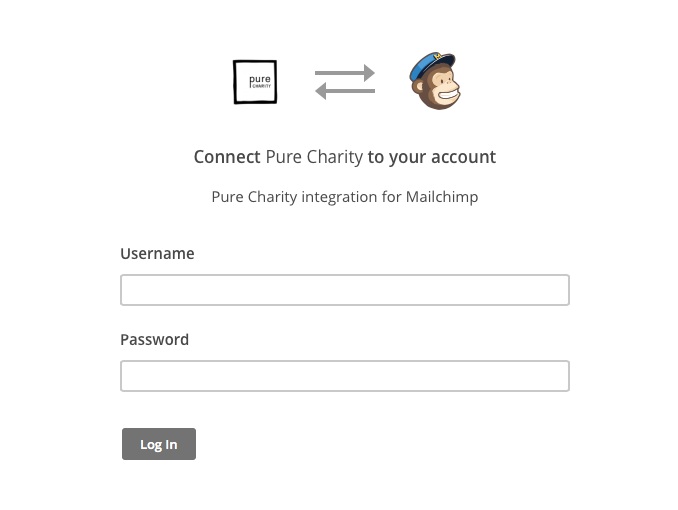 Pure Charity provides integration with MailChimp so you can create automated workflows for your targeted donor base and campaigns. Our app transfers all selected donor data over to your specified list on Mailchimp so you are able to send automated messages to your donors with ease. 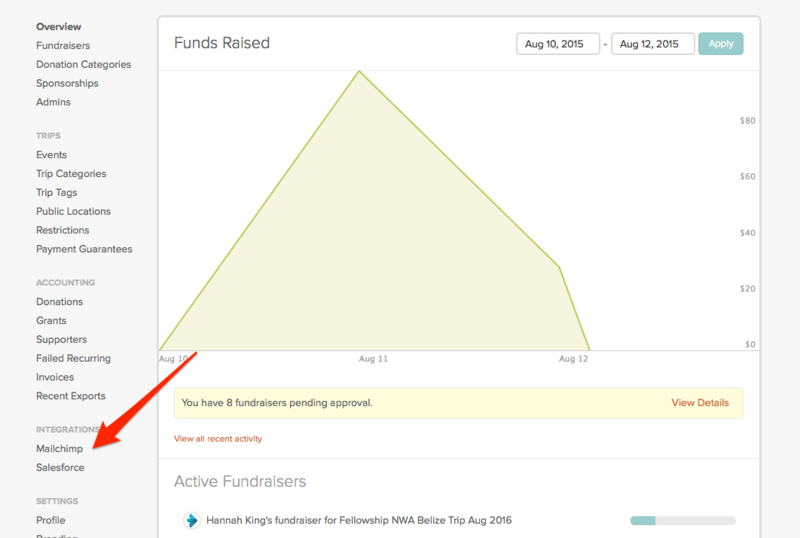 Step 1: Starting from your nonprofit dashboard, click Mailchimp. Step 3: Input your credentials and click Log In. Step 4: Your account is now authorized! 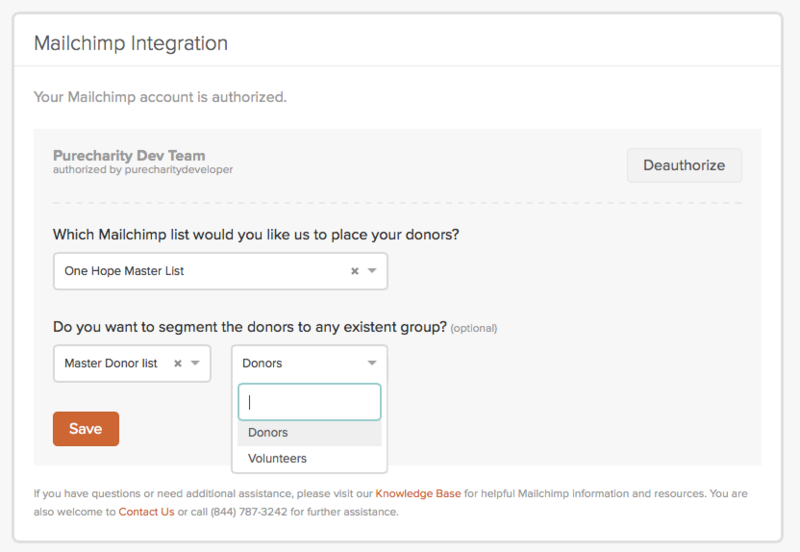 Next use the dropdown boxes to select the Mailchimp list you would like to place your donors in. Click Save. Our app is now transferring all selected donor data over to your specified list on Mailchimp so you are able to send automated messages to your donors with ease.